The product is funny; the pictures on the website (including below) are funnier. 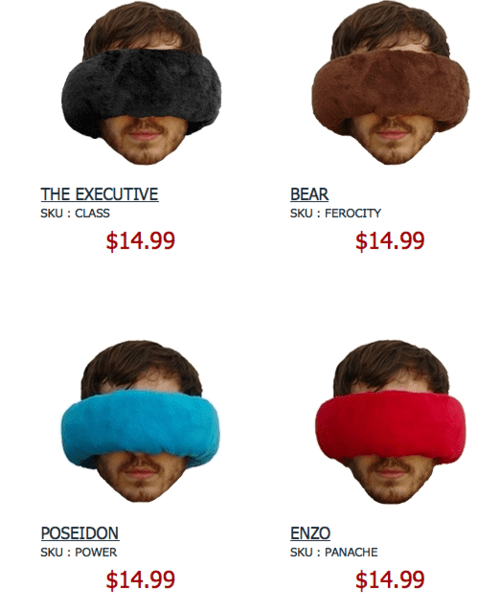 WAN (a Wrap-a-Nap) is a pillow, a blindfold, and an earmuff all in one. This is something my mom would like for sure, but something I can’t really imagine anyone sincerely owning. But hey, it has fans! I suppose I can’t knock it til I try it!